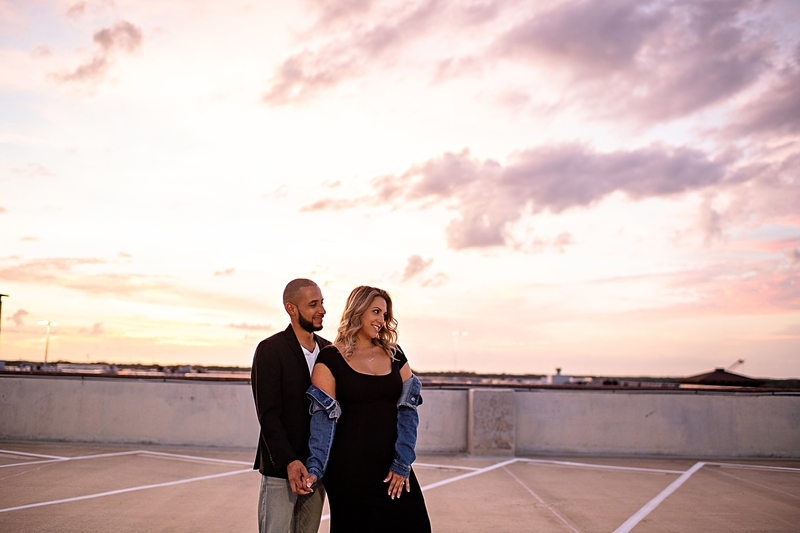 Murals, rooftops and an urban vibe made for the perfect day at this downtown Orlando engagement session with Jillian and Jason! 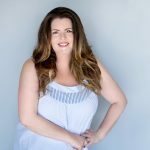 I’ve known Jillian for years – she was one of the first hair/makeup artists I ever worked with! 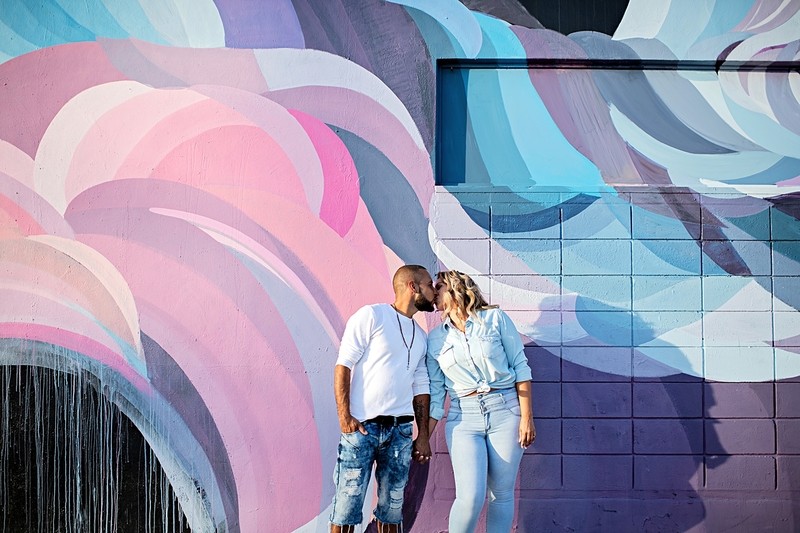 When she asked me to shoot her engagement session with soon to be hubby, Jason, I was ecstatic! 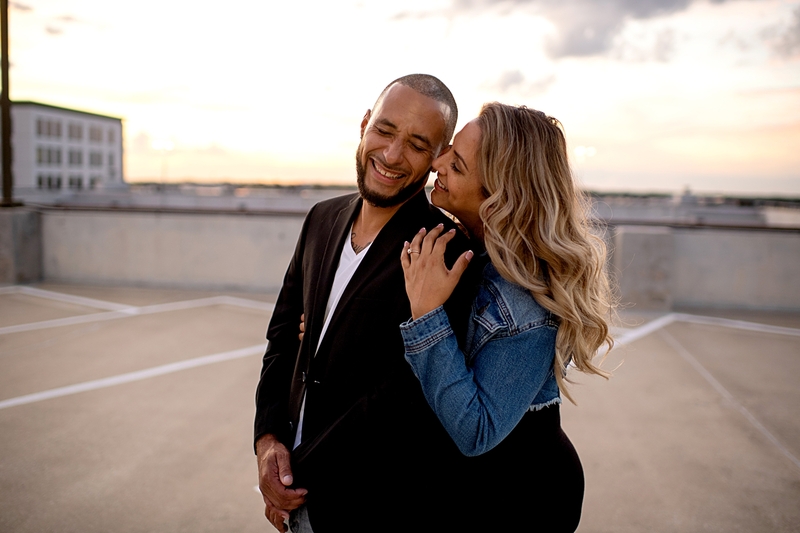 Jillian and Jason met at a rec center where he coached his son’s basketball team. Jillian’s son played on a different team so she was always there with him. Despite having so many mutual friends they would only see each other at practices or games. Jason never smiled or flirted with her but she did catch him checking her out a couple times (that’s her story anyways)! She always admired how involved he is with his kids. Eventually, they took it a tiny step further and became social media friends! They talked for about a month online before meeting in person. 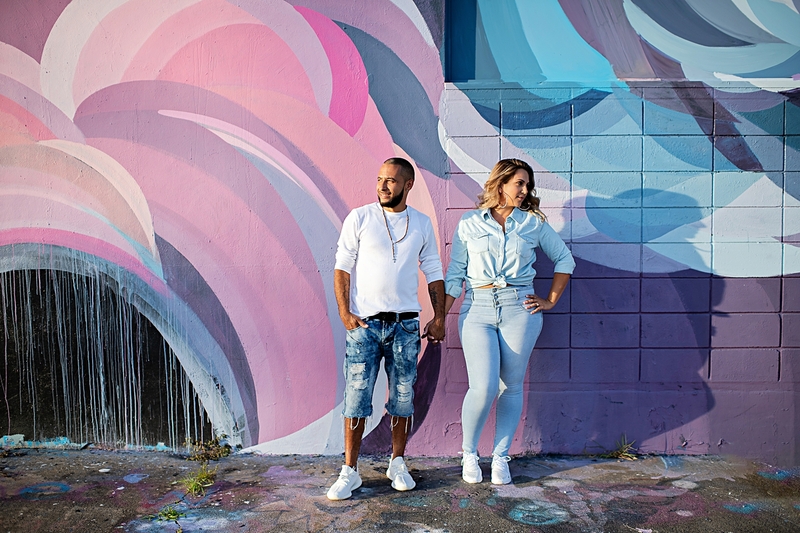 Both Puerto Ricans from the Bronx, they have the same initials (JC), their four kids are all the same age and they even found out that they actually had a lot of friends in common – including her dad’s best friend from the 80’s! Jillian was super nervous to “officially” meet Jason for the first time. She had an image already set in her mind and she didn’t know what he would be like. However, when he spoke she said “he sounded like Barry White!”, and all her worries vanished! They drove around after dinner dates like high schoolers trying to find cool hangout places to talk. They did a lot of parking lot hopping – or “parking lot pimping” as Jason liked to call it. It took him about five dates to kiss her and they have been on the adventure of a lifetime ever since! 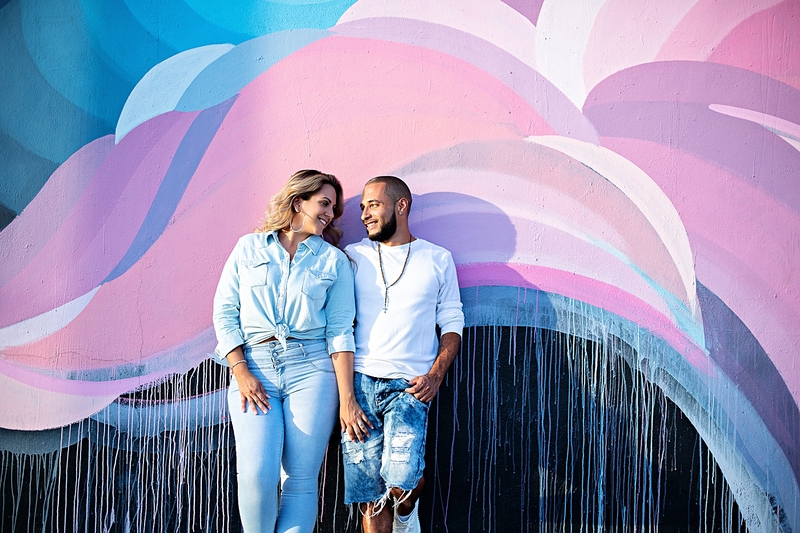 For their session, they wanted to bring a little bit of a city vibe and especially loved the murals at the West Art District. 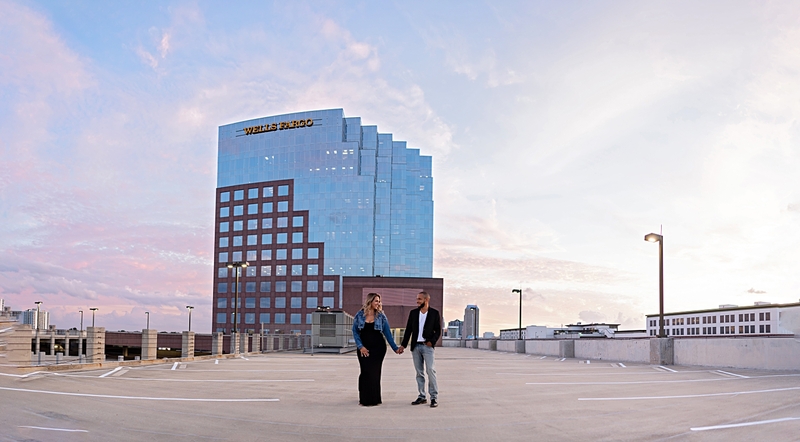 Then, I picked a rooftop downtown for sunset to cap off the day! 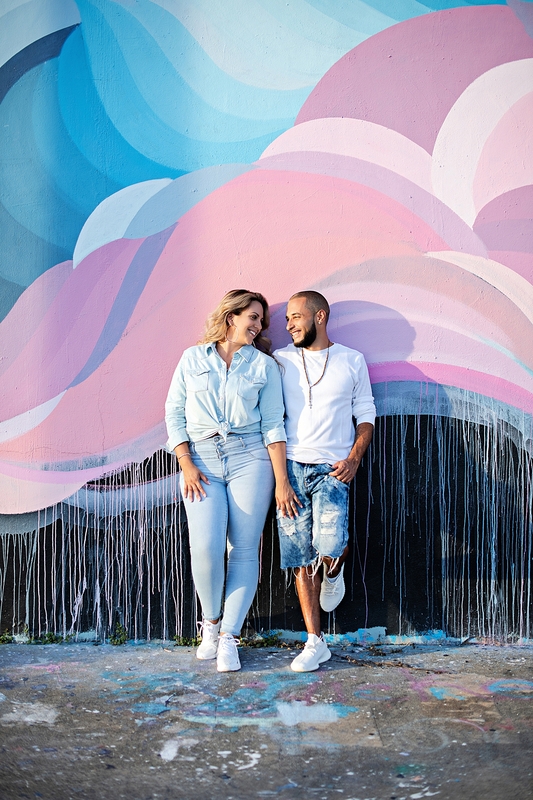 Jason introduced Jillian to his love for sneakers, so you’ll see a fun little shot we put together as an ode to their love for shoes!